Cut oranges, jicama, and fennel bulb into bite size pieces. Mix dressing, then add to salad. 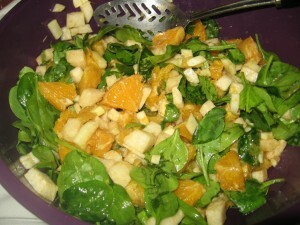 Add spinach leaves after it marinates over night.